Judo, literally meaning “gentle way”, was created in Japan, in 1882, by Japanese martial artist Jigoro Kano. Initially it was designed to compliment physical training for fitness but also for self defence. It gentle nature was a means for a smaller person to overcome a larger individual. Today though it is generally considered as a modern martial art which is also a popular Olympic sport. Judo is now popular throughout the world which is evidenced by the number of nations represented at international judo competitions. The most Identifiable feature of judo is the competitive elements which come with it. With judo the main objective is to either throw an opponent to the ground. From there one would seek to immobilise the opponent with a pin, or force an opponent into a submission like a joint lock or a choke. Strikes and thrusts by hands are not allowed in judo competition but can be used in a self defence situation. Judo mats have a tatami finish and are made of vinyl with an inner compressed sponge and anti skid bottom. They are available in 40mm and 50mm with density of 180kgs/cbm or 230kg/cbm. Sizes are either 1m x 1m or 1m x 2m. Judo mats are great for high impact sports and judo competitions. Colours available are green, red, blue and yellow. The term tatami is derived from the verb tatamu, meaning to fold or pile. This indicates that the early tatami were thin and could be folded up when not used or piled in layers. Tatami were originally a luxury item for the nobility. During the Heinan period, when the architectural style of aristocratic residences was consummated, the flooring of shinden-zukuri palatial rooms were mainly wooden, and tatami were only used as seating for the highest aristocrats. In the “Kamakura period”, there arose the architectural style of residence for the samurai and priests who had gained power. This architectural style reached its peak of development in the “Muromachi period” zashiki (lit., room spread out for sitting), and rules concerning seating and etiquette determined the arrangement of the tatami in the rooms. It is said that prior to the mid-16th century, the ruling nobility and samurai slept on tatami or woven mats called goza, while commoners used straw mats or loose straw for bedding. Now tatami mats are widely used in judo and other japanese martial art. They tend to me constructed with vinyl and foam but have the same finish as traditional tatami mats. 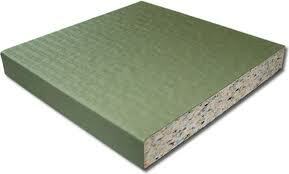 Ezy Mats is the preferred supplier for these mats and other training mats though out Australia. When you think judo mats Australia think no further then Ezy Mats. We have helped dojos fit out there training areas both big and small. We have also assisted other organisations like MMA clubs, karate clubs, aikido clubs, tae kwon do clubs and kung fu clubs with there training area fit out. Each time our customers have been very satisfied with the results and you will too. So our mats are used by all sort of martial arts organisations. Apart from Judo they are also used by jiu-jitsu, BJJm MMA, karate, wrestling and grappling just to name a few. They are made from heavy duty material and are sure to last for years to come. Our mats are used by organisations both big and small. If you have any special requirement such as different colour or sizes by email us or give us a call and we will help you the best we can.